Life Online - Freddy is back with some new hopes! Freddy is back with some new hopes! A comedy show is all about the jokes. But at Freddy, you may laugh during the show and may wonder whether you laughed at your own self a little while later. 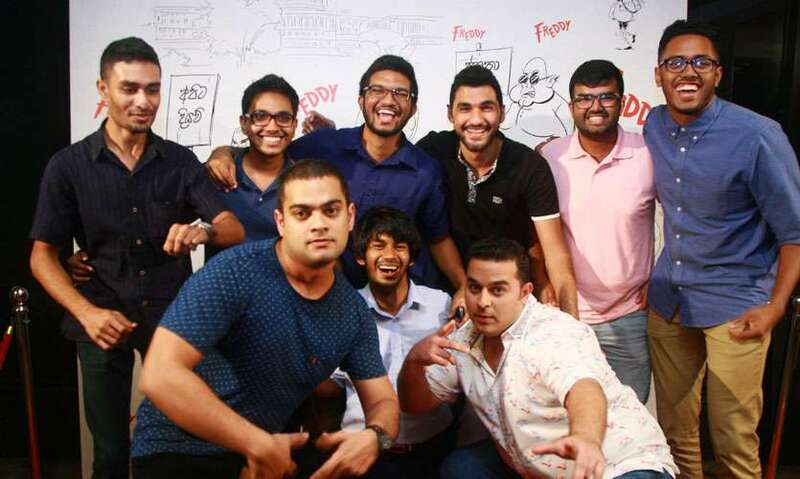 Written and directed by Feroze Kamaradeen, Freddy introduced a new trend of stand-up comedy among Sri Lankans. What initially began as a five-member comedy show speaking on different issues concerning the citizens of the country has now expanded with new faces. Hence, this October look out for Freddy 3 – A New Hope as it hits the Wendt from October 18-23. Moving away from conventional comedy shows, each performer also has a unique song to wrap up their content. This adds more meaning to the concept. “The songs add a different element to it as it gives a break from listening to them right along,” Kamardeen continued. “It also shows their repertoire as well. Personally I believe that standup will have a bright future in this country. It’s a popular genre and a good form of entertainment. Even around the world, the comedians who are most popular are standup comedians because the medium is very flexible. Standup comedy is so dynamic that it will be able to keep up to changing trends in the political and social landscapes. Our concept is about issues Sri Lankans face. The response that we have had from audiences has been fabulous. In less than two years we have been able to perform to an audience of 2600 people which is a massive feat!”. Hence Freddy 3 – A New Hope will bring in some new hopes to the audience and it is strictly for adults – unless you want your child to chuckle at some adult jokes. Also watch out for some exciting promotions they are doing where you can win tickets and T-shirts! Stay tuned to Freddy 3 – A New Hope FB page for details.